Savant Solutions, a Sacramento cybersecurity firm, uses best practices to ensure your environment is optimized for security, performance, and compliance. Having applied our experience to companies like The Boeing Company, Harris, Jacobs, State of California, etc., Savant Solutions is prepared to give even the smallest companies a competitive edge with technology. We carefully vet all the solutions recommended and test them in numerous environments. Every business wrestles with concerns and unique challenges when it comes to cybersecurity. Whether you’re a Fortune 500 company, a government agency, or anywhere in between, Savant Solutions can provide a secure solution for you. We offer a range of security options and a variety of services including assessments, design, implementation, after-hours support, and more. When you hire Savant Solutions, we’ll create a solution that not only works, it gives you peace of mind when it comes to securing your data and network. Over 10 years of experience working with Fortune 500 companies, federal agencies, and SLED customers. Caleb got his start in technology over a decade ago as a Systems Administrator for a plastic manufacturing company in the Bay Area. He has since designed custom systems to control UAV's and flight simulators, re-architected SAN Storage for several Boeing sites, helped the State of California re-architect their cyber security infrastructure for over 69 sites, and many other detailed projects. His philosophy is to always put customers first, which is why his customers have followed him throughout his career. He's passionate about giving back to the community, and being a great dad to his family. A 12 year IT veteran based in Northern California with certifications and experience in networking, servers, storage, security, and appliance-based solutions. He graduated from MIT with a degree in electrical engineering and a minor in anthropology. Askia didn’t take long to establish himself as a valuable team player with the ability to consistently deliver for customers. Adjusting to rapid change, Askia became one of the few Systems Engineers at Brocade with deep technical knowledge in IP, Ethernet, Fabric, and Fibre Channel technologies. Savant Solutions opened our office at I/O in Sacramento, CA. 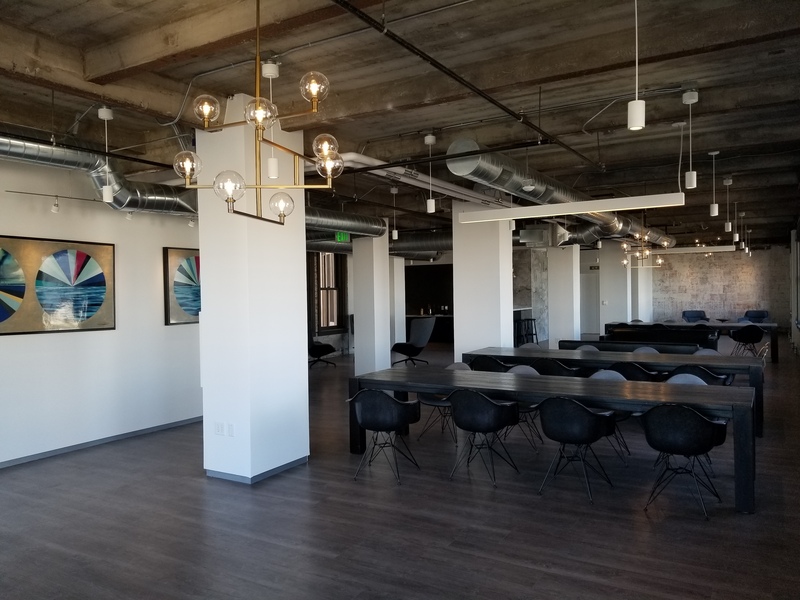 This awesome co-working space gives us everything we need to work, connect, collaborate, and learn, alongside other startups. Working out of I/O has been a positive experience and we are looking to grow our team here.